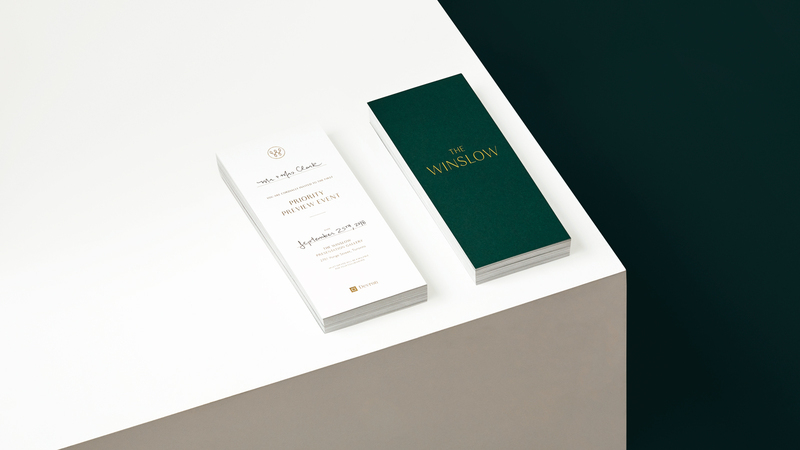 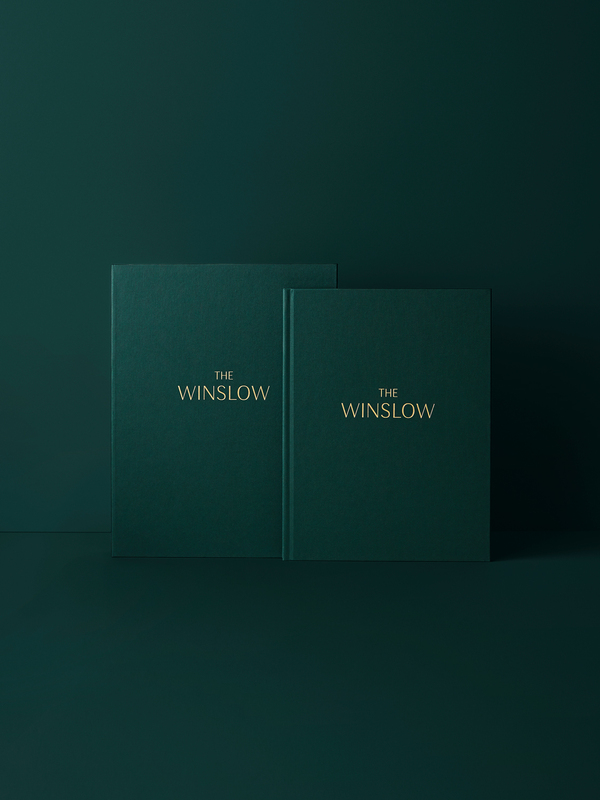 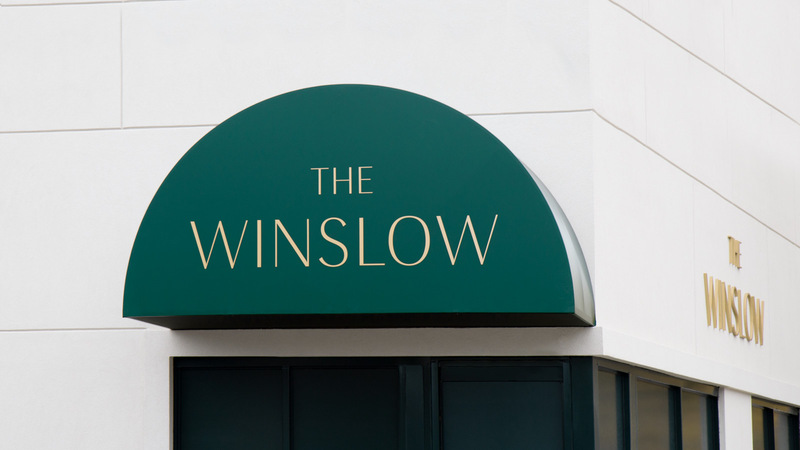 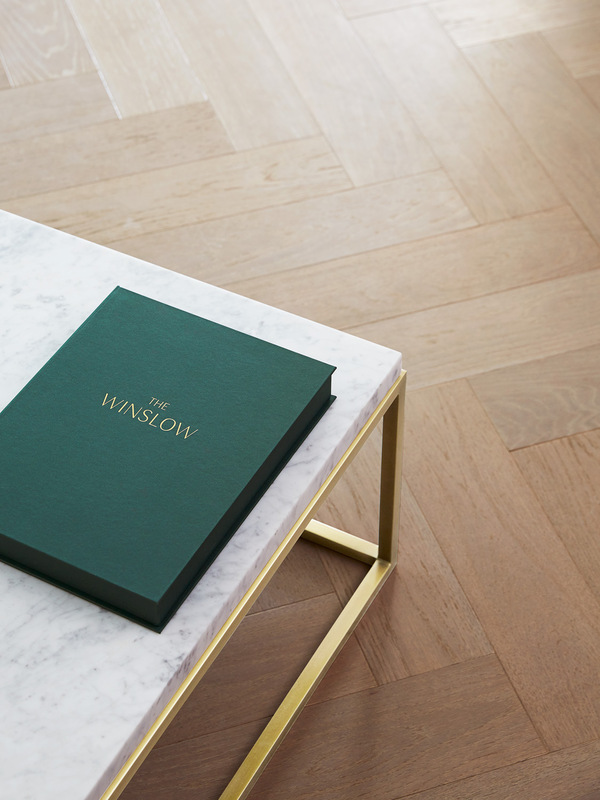 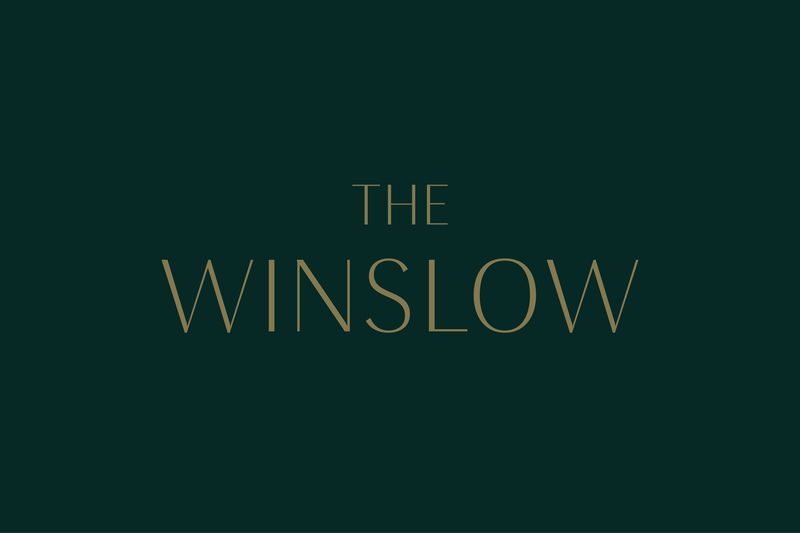 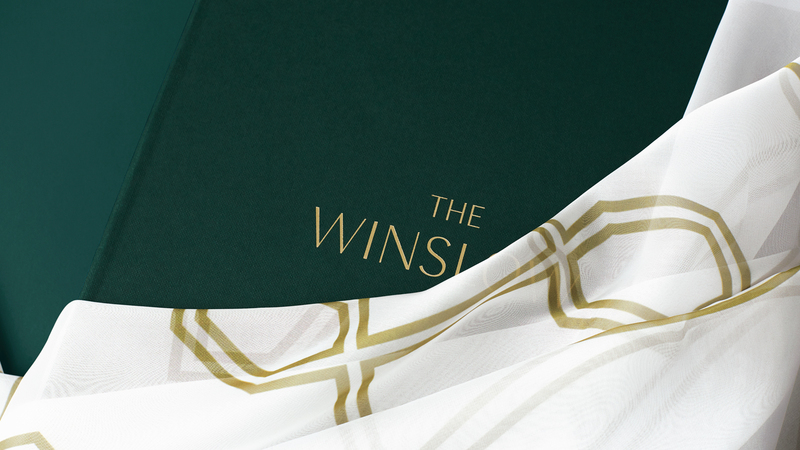 The primary logotype for The Winslow uses a classic and polished decorative font with high-contrasting forms. 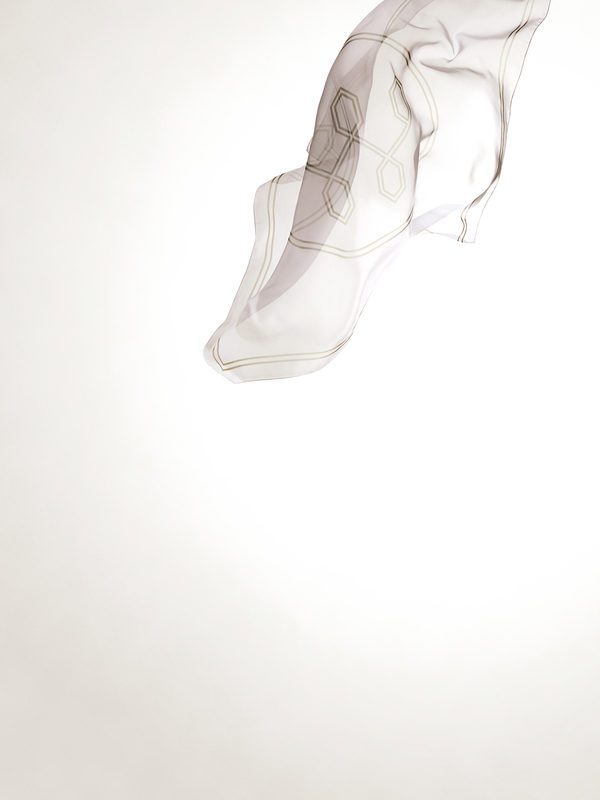 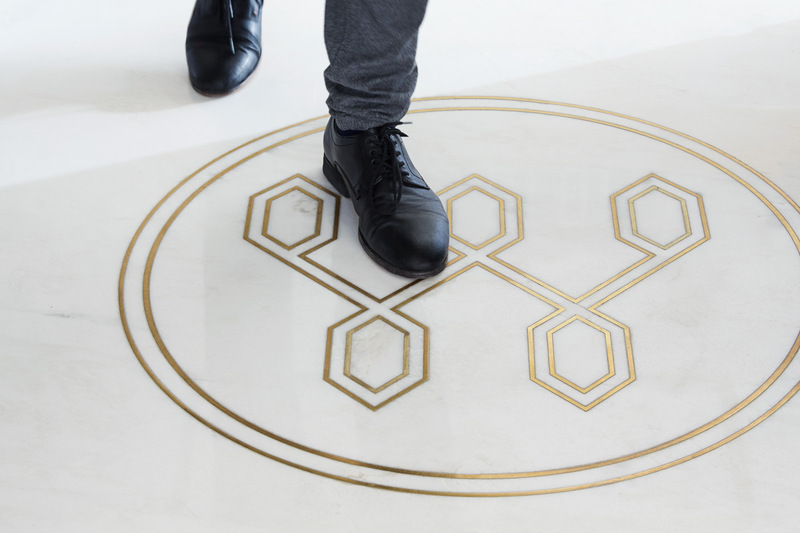 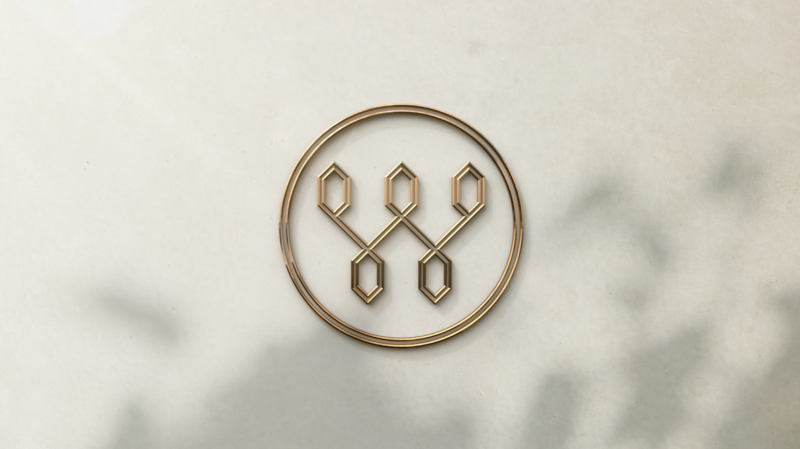 The secondary icon was developed using art deco inspired line work to form a recognizable and iconic 'W'. 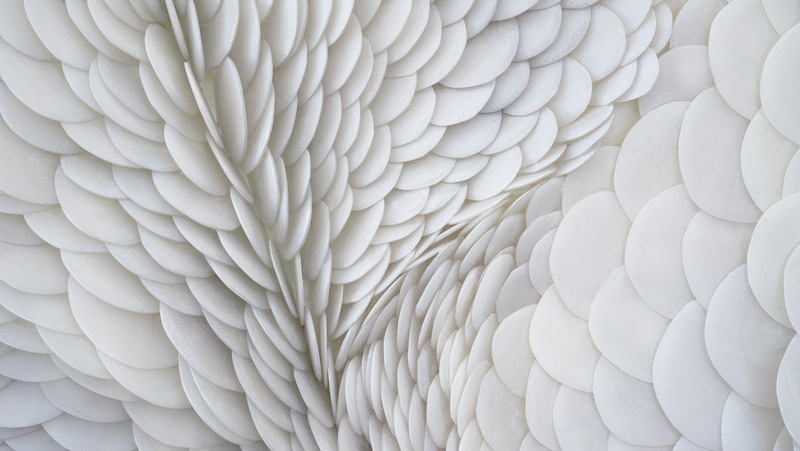 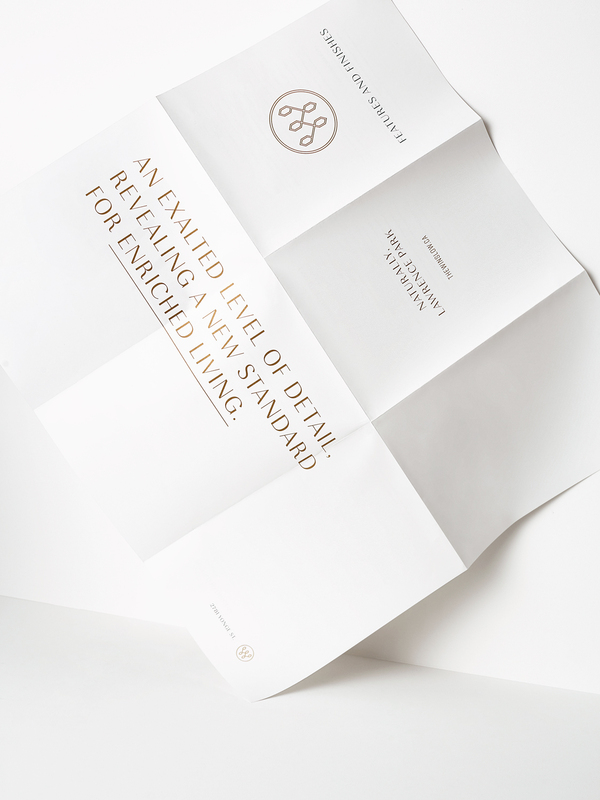 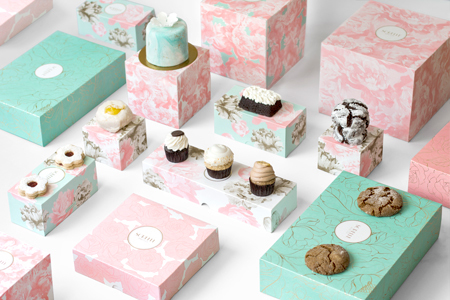 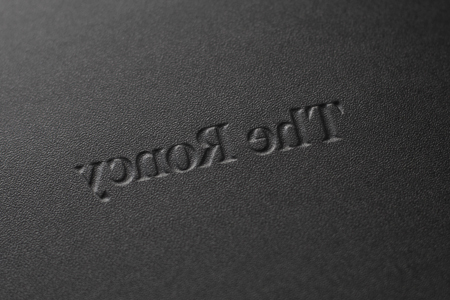 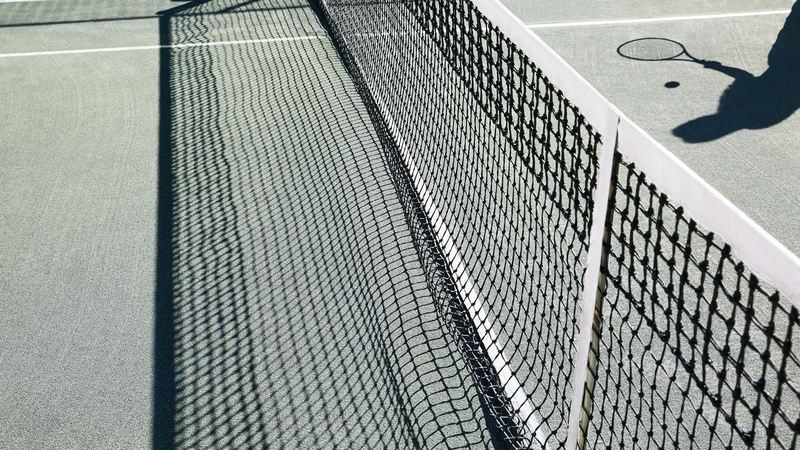 Using both logos over various collateral allowed Vanderbrand to evoke a sense of quality over a range of touchpoints. 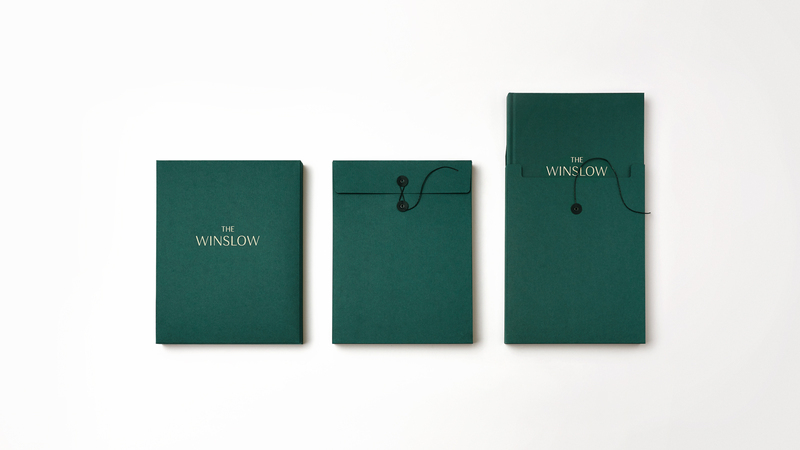 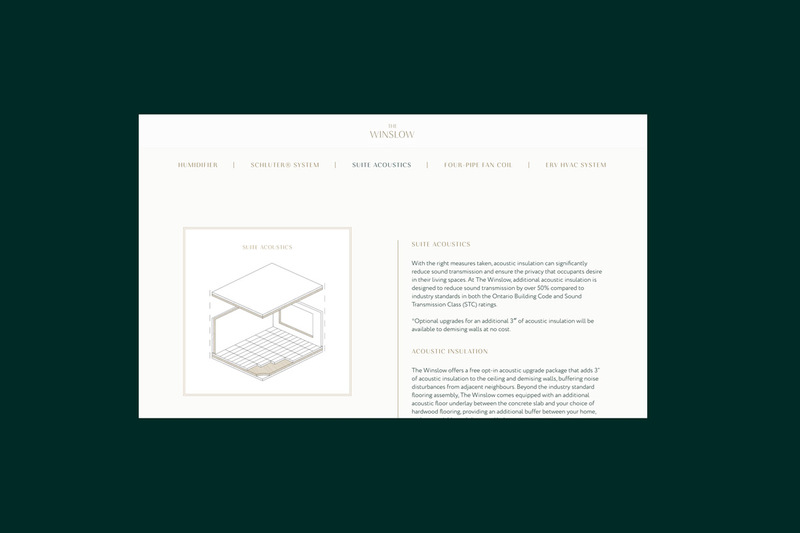 Pairing this identity with a rich forest green and understated brass for the palette imbued the brand with a vivid, rich, and classic feeling of luxury. 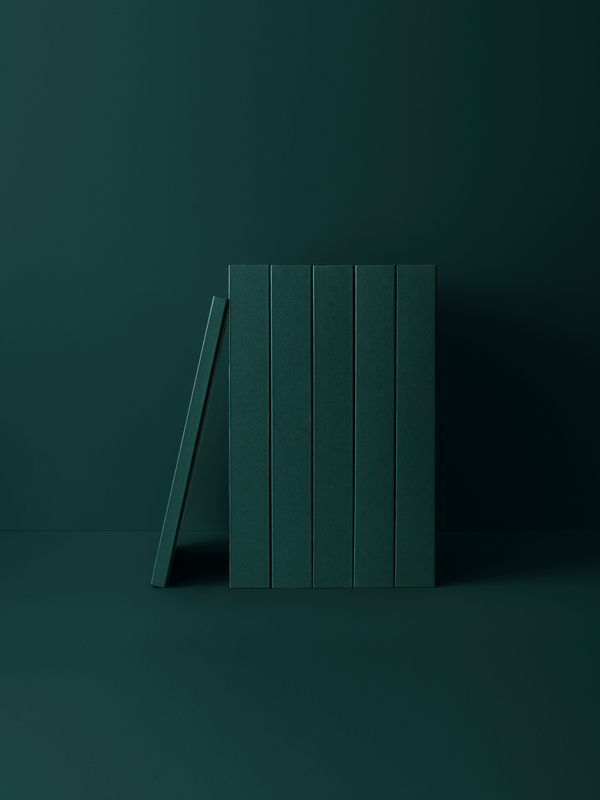 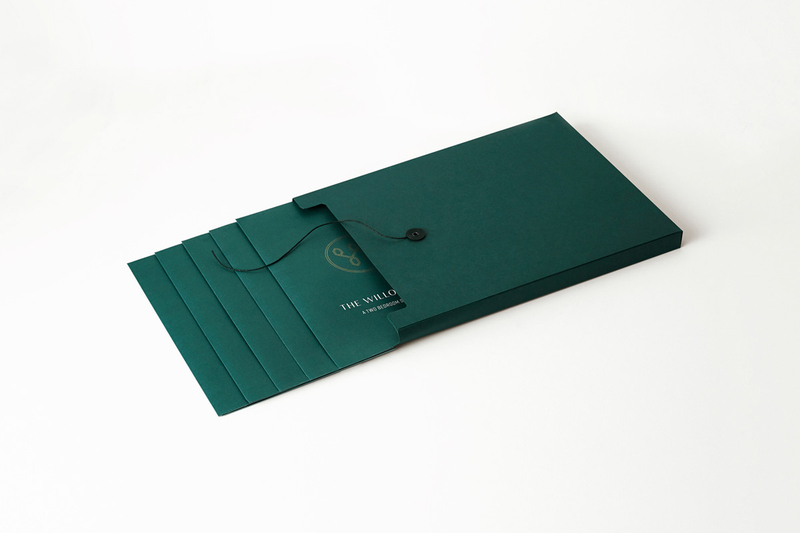 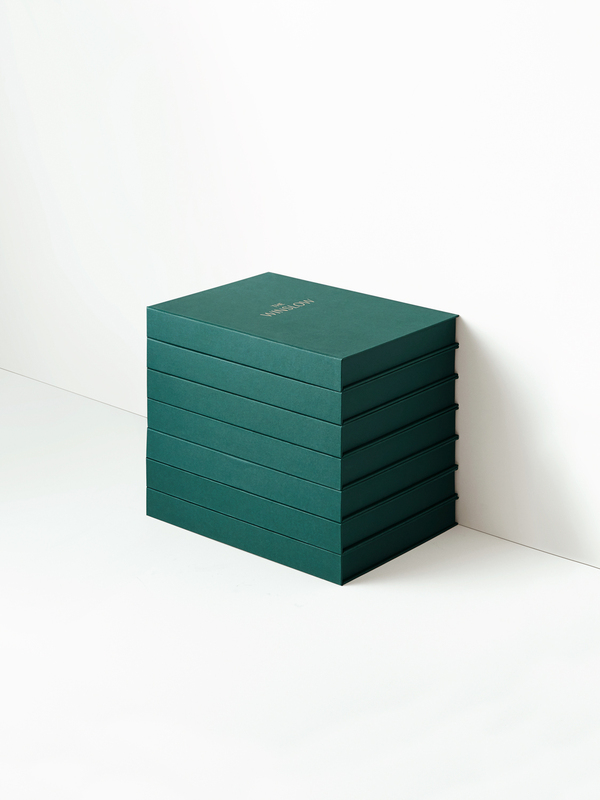 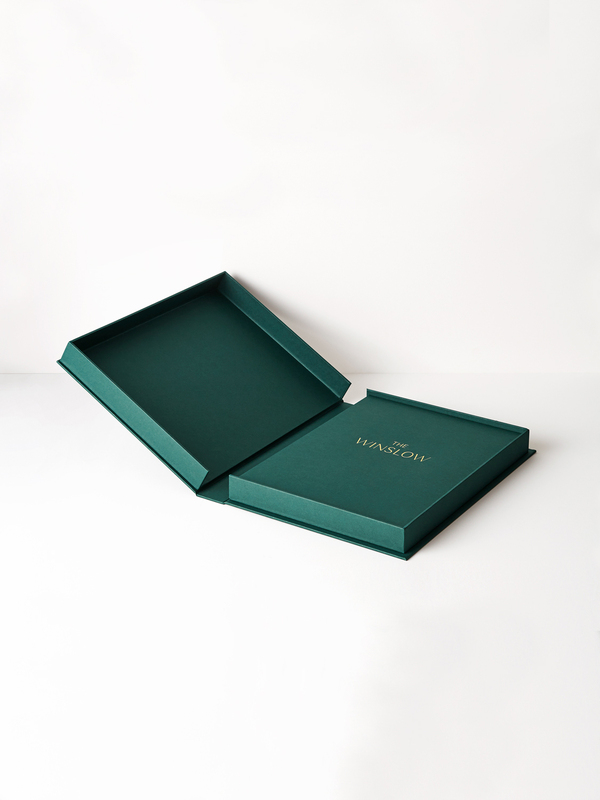 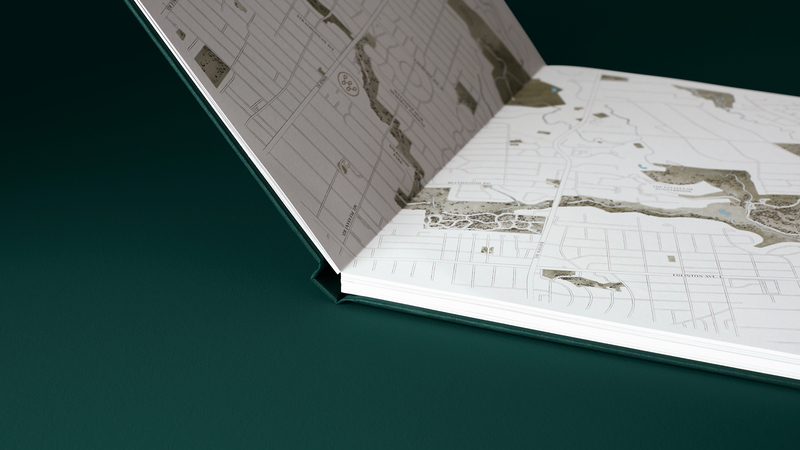 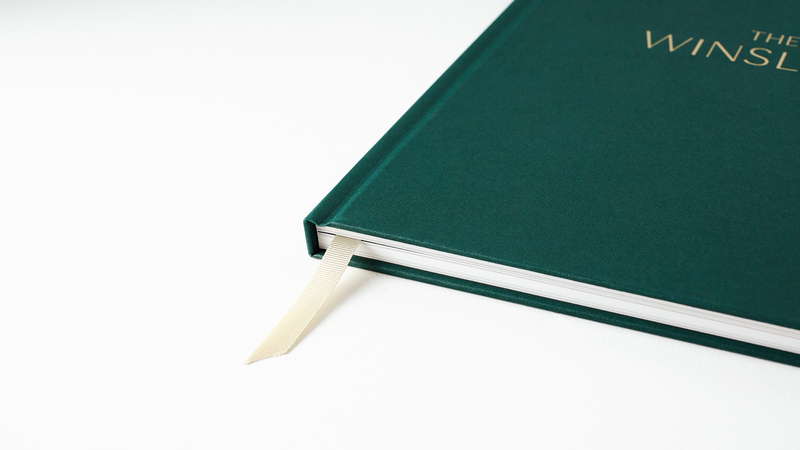 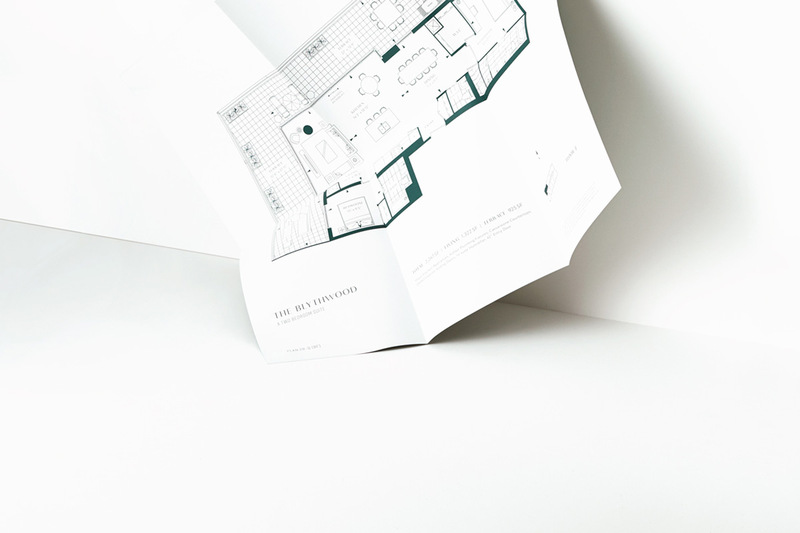 Partnering with an internationally acclaimed printer, the brochure features an uncoated forest green paper stock with a subtle gravure embossing, and an elegantly foiled logo on the cover in a brushed gold. 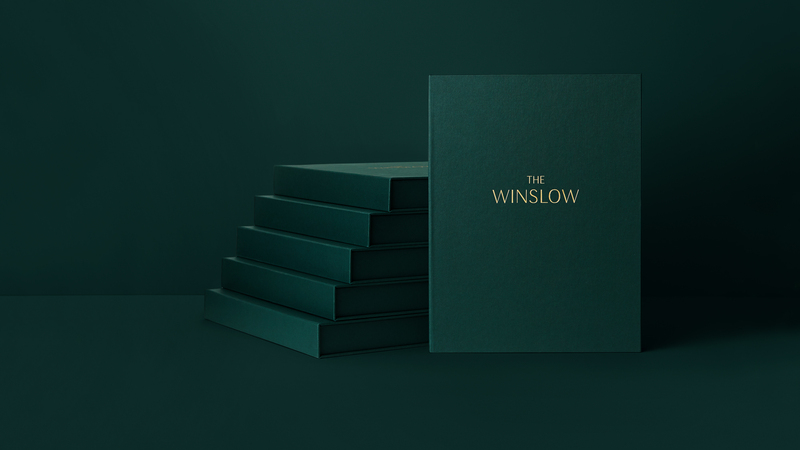 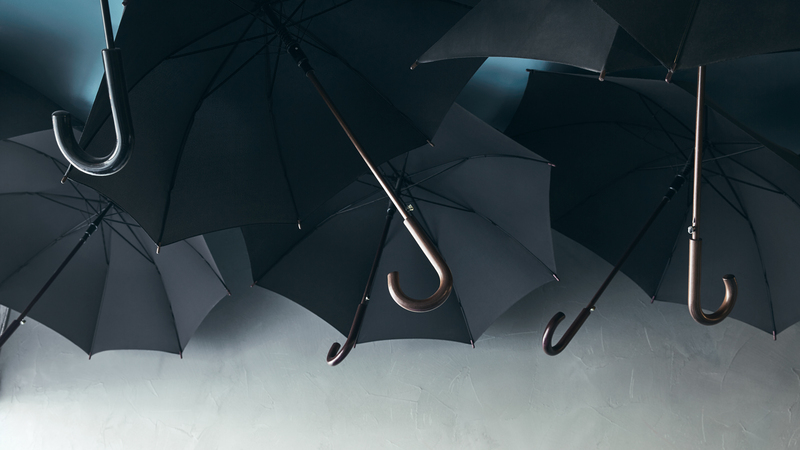 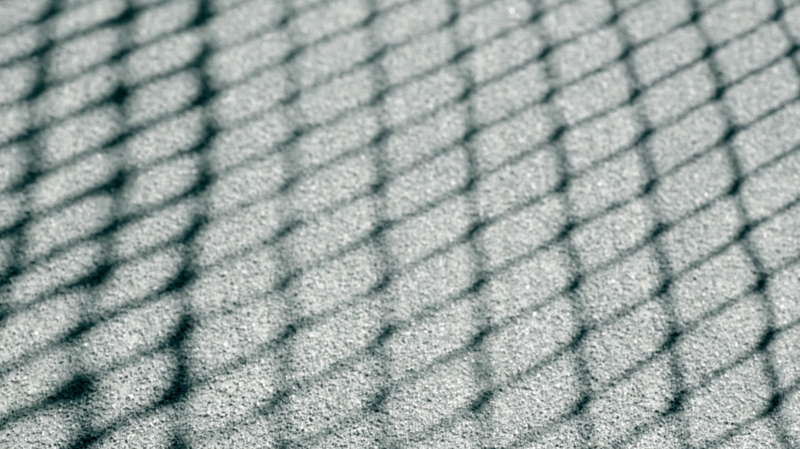 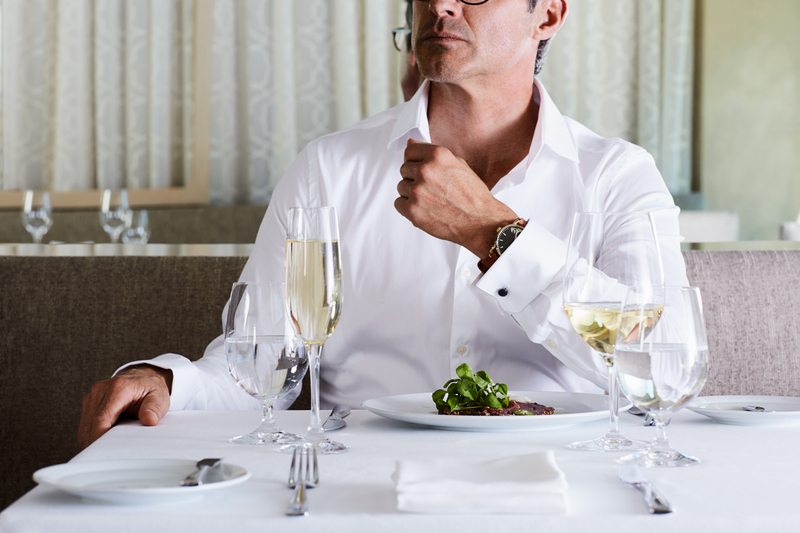 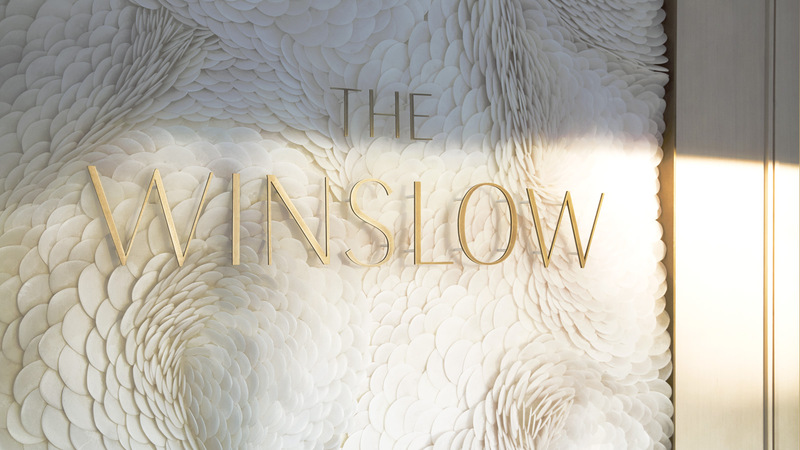 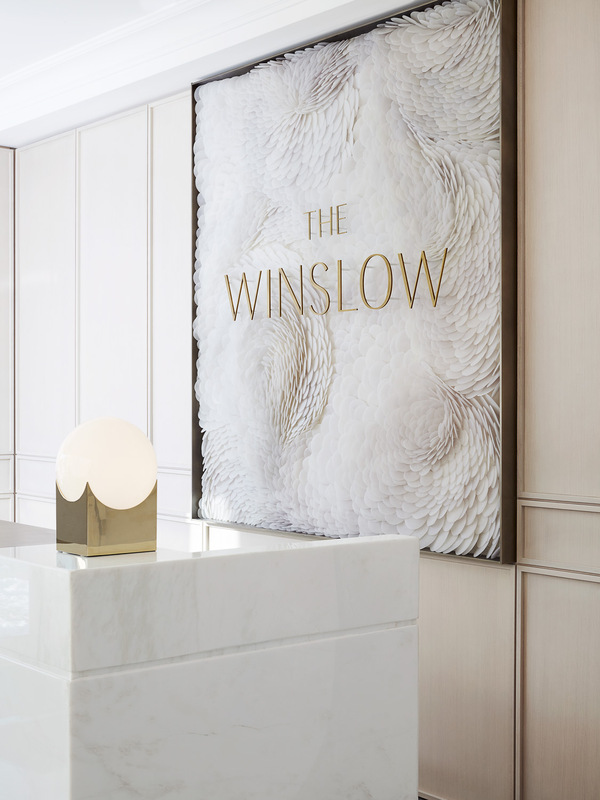 To increase the depth of The Winslow's digital campaign, Vanderbrand produced a lifestyle video to create an emotional connection with the target audiences. 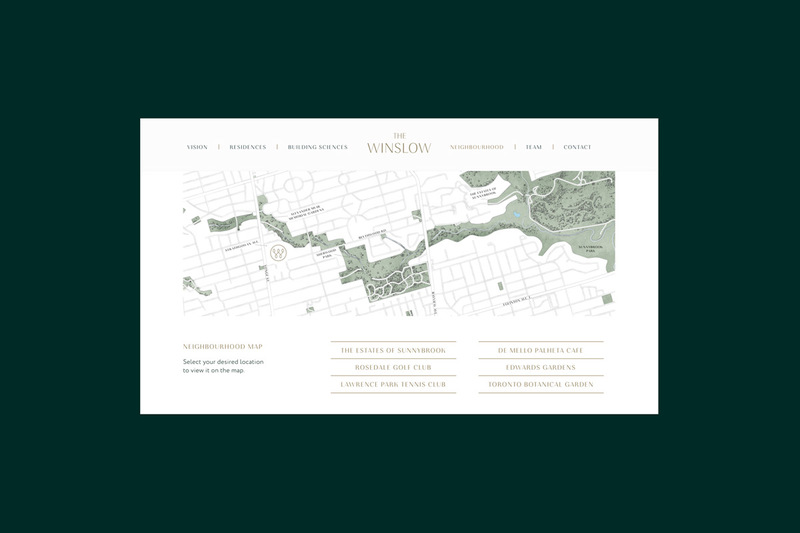 Using the established brand messaging as the overarching theme, 'Naturally, Lawrence Park' a cinematic experience was crafted with a focus on three key features: the established neighbourhood, the unparaleled ravine views, and the spacious suite layouts. 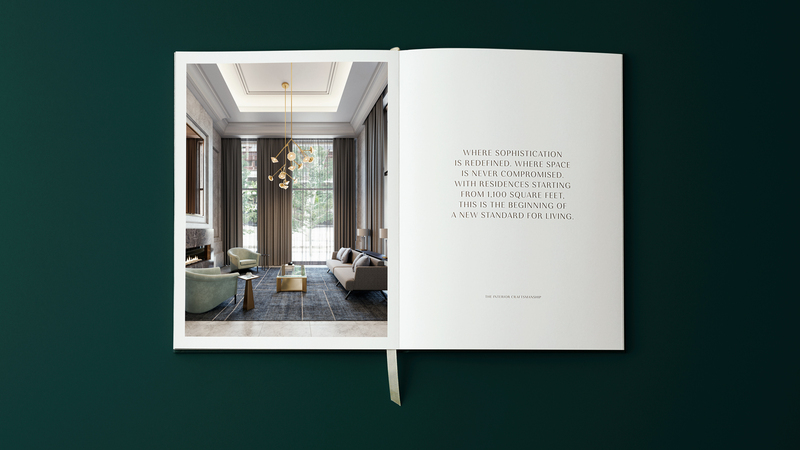 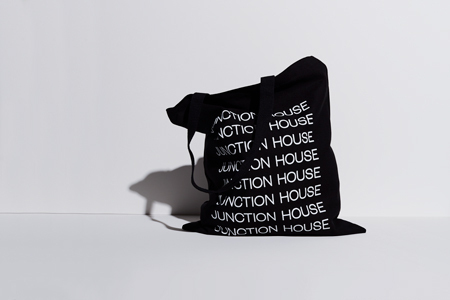 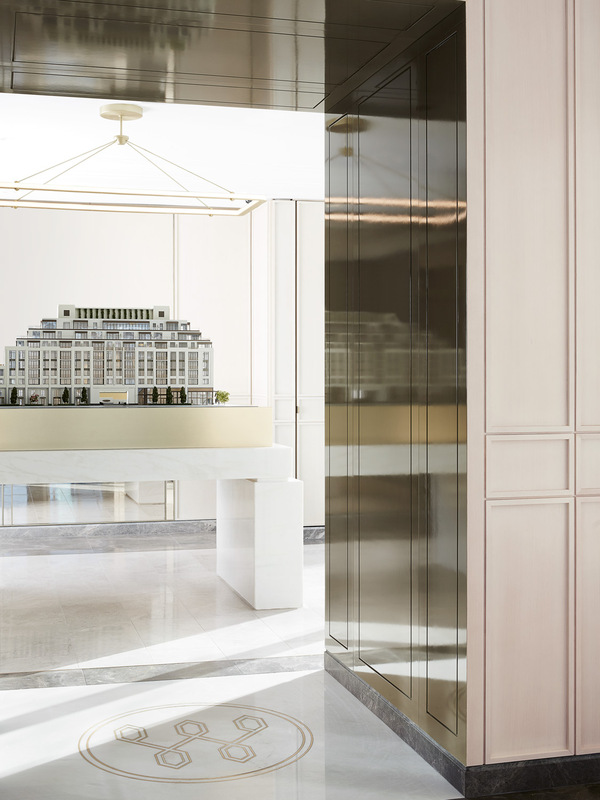 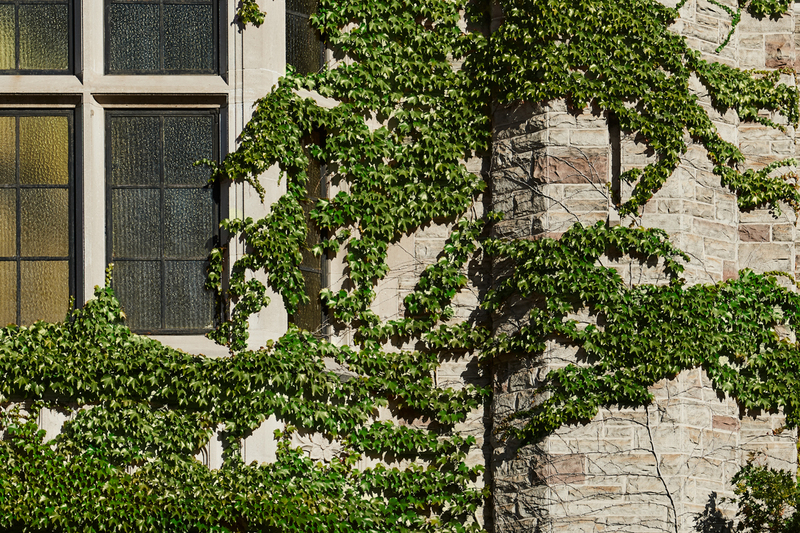 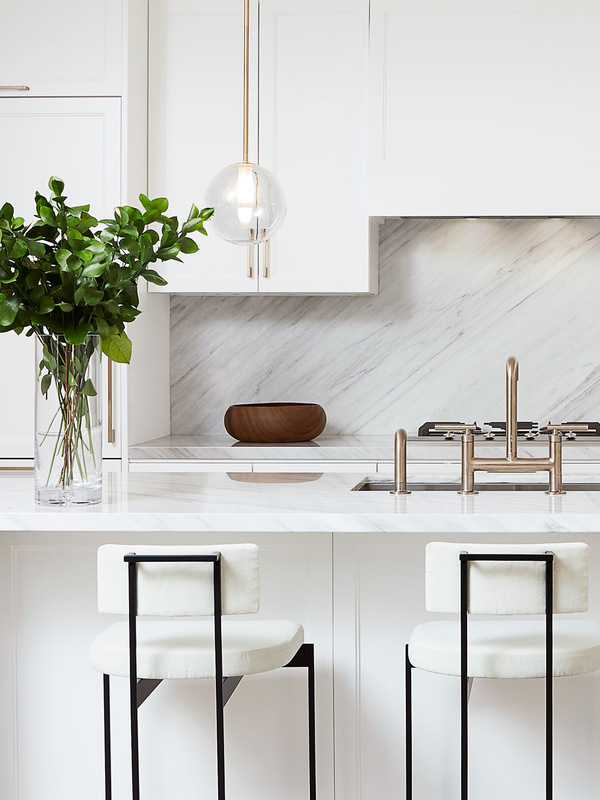 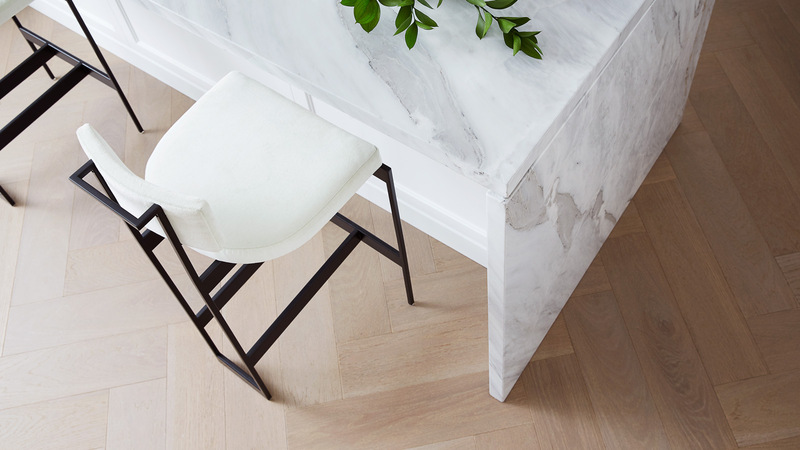 Situated at the corner of Yonge Street and Strathgowan Avenue, the presentation gallery was the perfect opportunity to create brand recognition and to integrate the residence within the neighbourhood. 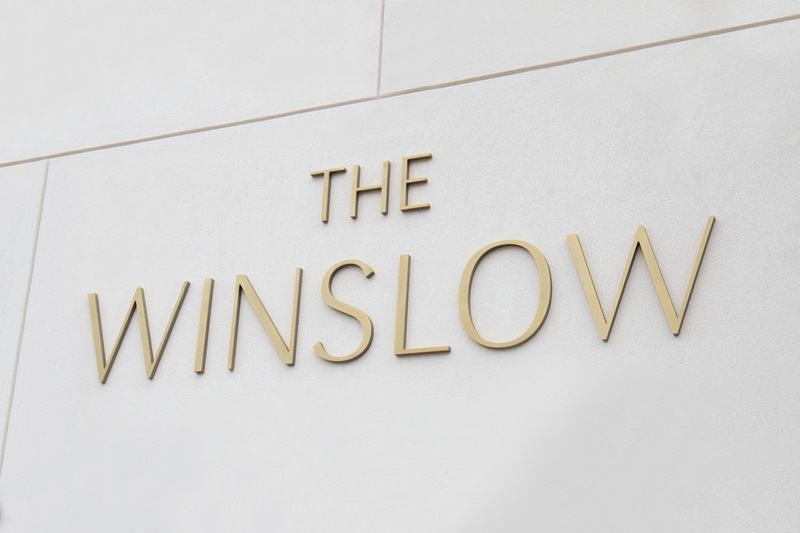 The creative direction of the gallery’s facade was influenced by luxury retail boutiques across the entrance’s overhead canopy, large gold dimensional letters for the logo, and a large hoarding on the building’s side.